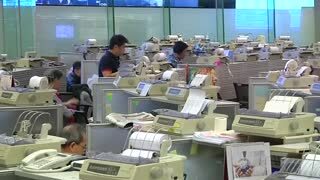 China's consumers leading the way up? Rumble - China&apos;s attempt to re-focus the economy on consumers appears to be paying dividends - the services sector is expanding. And, as David Pollard reports, that means rich pickings for some foreign businesses, like Starbucks and McDonalds. 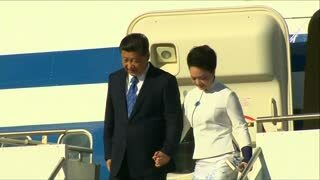 China's president, first lady land in U.S.